Disclaimer: The goal of the following post is to inspire you to head over to the Moose Tracks photo contest and vote for your favorite entry --- ok, yes, technically I have an entry in the contest, and I would love your vote, but voting in general is what matters, so please choose whatever photo you like best --- you are allowed to vote once a day and the voting runs until October 14th. 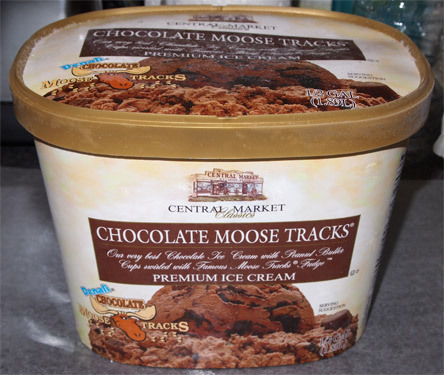 So, Moose Tracks, what is it exactly? I say "Cherry Garcia" and you say "Ben & Jerry's". I say "Moose Tracks" and you think "tasty", but a brand doesn't necessarily come to mind because it's not a brand, it's more of a recipe shall we say. 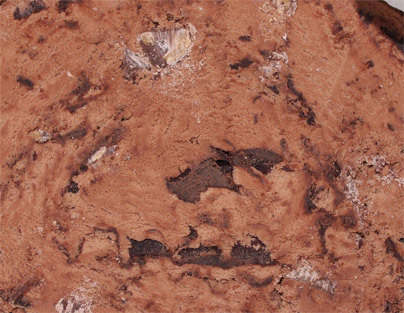 Any company can contact Denali Flavors and get the recipe and ingredients to make their own branded Moose Tracks, that's why you see it so much. I've seen it from Walgreen's, Hannaford's, Stop & Shop, Stone Ridge (Supervalu), Kemps froyo, and even Turkey Hill in their Stuff'd and Light product lines. Now, when I say Moose Tracks, I mean more than just peanut butter cups and fudgy swirls, Denali now has over 40 flavors in it's arsenal. It's a nice looking and rather thorough lineup, but since it's a flavor and not a brand, tracking it down isn't always easy. Two weeks ago, Denali's PR company contacted me and asked if I would post up the news about their photo contest. It's a generous contest where you submitted a shot of moose tracks in whatever setting and in return you can win one of three prizes. The top prize is a year of ice cream (and ofcourse the love and admiration of all your ice cream loving friends). I was happy to share the news, and me being me, I wanted to enter too. So, the big question becomes, where am I going to find all these funky flavors? Price Chopper!! That's right, with only minimal luck at Stop & Shop and Hannaford's, Price Chopper was there to save the day with their Central Market Classics in house brand of premium ice cream. It's been a year since we had CMC in the freezer, so that's excuse enough to pick up two containers. Well, that and the "everyday low price" of $2.99 (which rang up as $4.19, but that's another story). 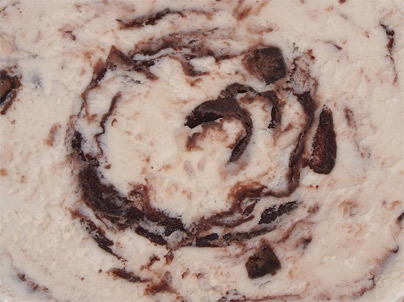 Now with several flavors (colors) to choose from, we wound up going with Chocolate Moose Tracks as our brown color. ("Dubba, what are you talking about?" hold tight my friend, we'll get there). Now for our white color, we picked up Bear Foot Brownie. Sure we could have went yellow with Caramel Caribou or green with Mint Moose Tracks, but you see, I have a plan. I love getting to the heart of a container. Mmmmmm, you can taste it can't you? 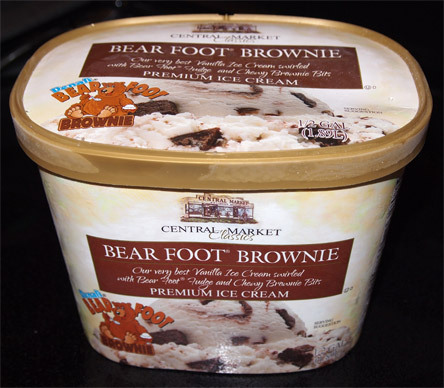 This one is "our very best vanilla ice cream swirled with bear foot fudge and chewy brownie bits". Mmmmm, cute 1/4" slabs of brownie. Sounds like a recipe for success to me... but the thing is, we're not here to eat the ice cream, oh no, it's time to get creative. This little bugger is my ode to Moose Tracks. Ok, ok, I know it's not perfect. I've never tried this before so technically I probably should have done a trial run first, but hey, if you don't experiment, you'll never learn anything new. So, now do you see why I was talking about colors? 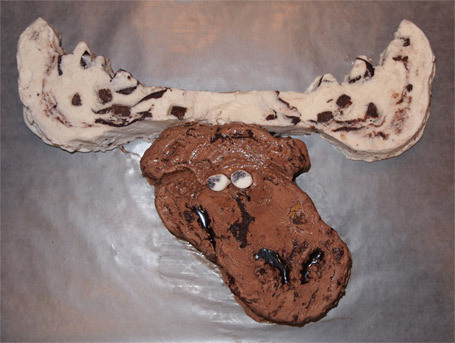 Sure, I had every intention of going with a more typical entry into the moose tracks photo contest. We were going to head to the top of Wachusett Mountain and get some proper scenery behind our big bowl of ice cream, but we got rained out. So, I got creative. I blew up the moose tracks logo, printed it out, made some wax paper templates and started cutting slabs of ice cream carton. Now I actually cut the antlers earlier in the day, so they had a chance to refreeze (that's why they aren't melting like the chocolate is). My critical side says I did a terrible job, but my creative side says at least I gave it a shot. Next time I'll just scale back my project a bit (each antler is a slab of carton, as is the head) --- good thing the contest wasn't in the middle of summer, this would have never worked. Wait? You want to know how the ice cream was? Well, I can't completely comment on that yet, but I can tell you that I was getting very familiar with the swirls and mix-ins as I carved up my masterpiece. The important thing to take away is that the fudge swirls really are good (and thick), the brownie bites had a good texture, and the peanut butter cups kept disappearing for some strange reason.